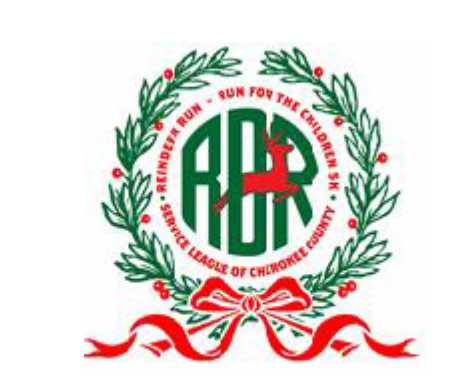 Come out to our Annual Run for the Children REINDEER RUN 5K and Fun Run Etowah River Park in Canton GA. Presented by The Service League of Cherokee County, a volunteer group of 100 women who work year-round to raise funds for local, needy children. Funds raised during this event and other activities, including RIVERFEST and the Dancing for the Children Celebrity Dance Challenge, provide for necessities like clothing, eyeglasses and utilities while also supporting camps, scholarships and much more. Early Packet Pickup and registration will be 11/30/18 at Etowah River Park from 4PM to 7PM. Awards: Top 3 Overall Male & Female 5K runners, Top Male & Female Masters and top 3 Males & Females in standard age groups will receive awards. Fun Run finishers will receive a commemorative ribbon. A $1000.00 cash prize will be awarded to the school with the most participants. Shirts and Goodies: All pre-registered runners and “Santa's Helpers” will receive a commemorative long-sleeve shirt. Shirts are NOT guaranteed for runners signing up on race day. The Service League cannot be responsible for distributing shirts after race day. There will be plenty of refreshments. Results and Timing: Finish line management and results provided by Classic Race Services with results posted to www.classicraceservices.com, www.active.com, www.athlinks.com and www.coolrunning.com. Series Affiliation: The race is part of the 2018 Black Bag Race Series.